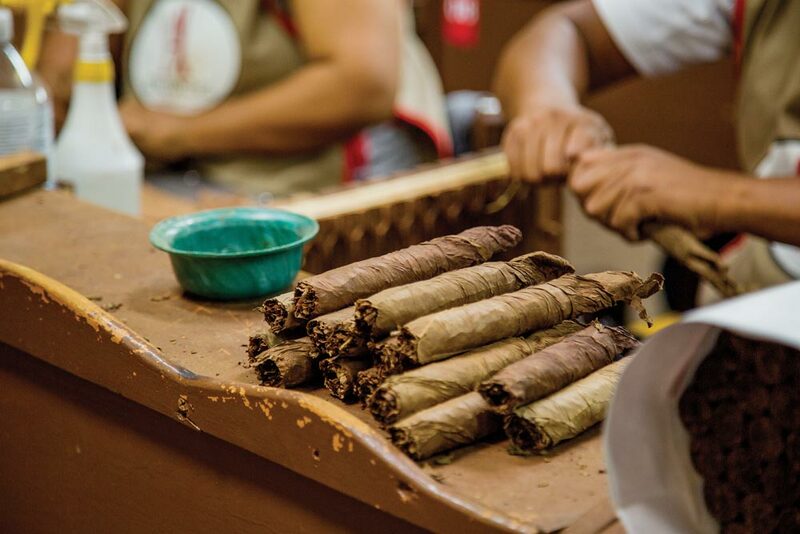 For years now, there have been a number of ways to experience Estelí, Nicaragua’s cigar capital and the source of some of the most celebrated products in the cigar world. Travelers who make their way to Estelí generally do so through or with significant help from tobacconists and cigar manufacturers. Those are still great options, but what if you want to do your own thing? Unfortunately, planning a trip to Estelí can feel a bit overwhelming. Between the scarcity of information available online (businesses here don’t tend to have much of a web presence) and the language barrier that might exist for smokers who aren’t fluent in Spanish, a trip to Estelí might feel like a bit of a crap shoot. But it doesn’t have to. We traveled to “El diamante de las Segovias” to get the lay of the land and give you some sense of what it takes to pull off an incredible cigar trip on your own terms. We landed in Managua at right around lunch time, and cigar industry friends we asked insisted there weren’t very many good options for food along the way to Estelí. So before starting the drive, we had lunch at the Hotel Camino Real — which also happened to be the pickup location for our Avis rental car. The Camino Real is a small hotel with lots of beautiful courtyard areas and a lunch buffet that will provide all the short-road-trip fuel you’ll need to make it to your next destination. On the day we stopped by, there were steak skewers, grilled fish, and filet mignon de pollo a la gorgonzola (which was chicken breast wrapped in a bacon strip and covered in a gorgonzola cheese sauce). TIP: When you’re booking your flights, make sure you account for the drive between Managua and Estelí. It can take between two and three hours, depending on what traffic looks like. Also, Estelianos tell us there’s been a push by law enforcement to curb speeding, so keep that lead foot under control on the highways. The road to Estelí consists almost entirely of two-lane highways that run along mountains and through valleys. You’ll see beautiful countrysides dotted by small shanty towns and roadside vendors hawking everything from rotisserie chicken to iguanas to birdcages made from metal barrels. Chances are you’re not in the market for most of that stuff, but keep your eyes open and your cameras at the ready; there are some incredible views along this drive. Eventually, you’ll end up entering Estelí from the south on the Pan-American Highway (or the Panamericana, as it’s called in Spanish), which runs north center of the city, merging with the Avenida Central at the north and south ends. The six-or-so-block-wide strip that runs between the Panamericana and Avenida Central for about 2 miles is essentially the heart of Estelí. This is where you’ll find not only most of the city’s noteworthy cigar factories, but also its best hotels, cafés, bars, restaurants and other attractions. Your first move should be to stop into your hotel and drop off your luggage. Generally speaking, Estelí is a safe city to roam during the daytime, but there is some serious poverty here and you don’t want to leave lots of luggage out in the open. This time around, we stayed at the Hotel Hex Estelí. Located adjacent to Estelí’s first and only shopping mall, the Multicentro, the Hex (which also has a Managua location) is as close as you can come to a modern business traveler’s hotel in Estelí. There’s a gym, good breakfast, and a cigar-friendly terrace area. You might prefer to feel like you’re more in the thick of things. For that, there are other options with a more Nicaraguan feel closer to the heart of the city (Hotel Los Arcos, for instance). 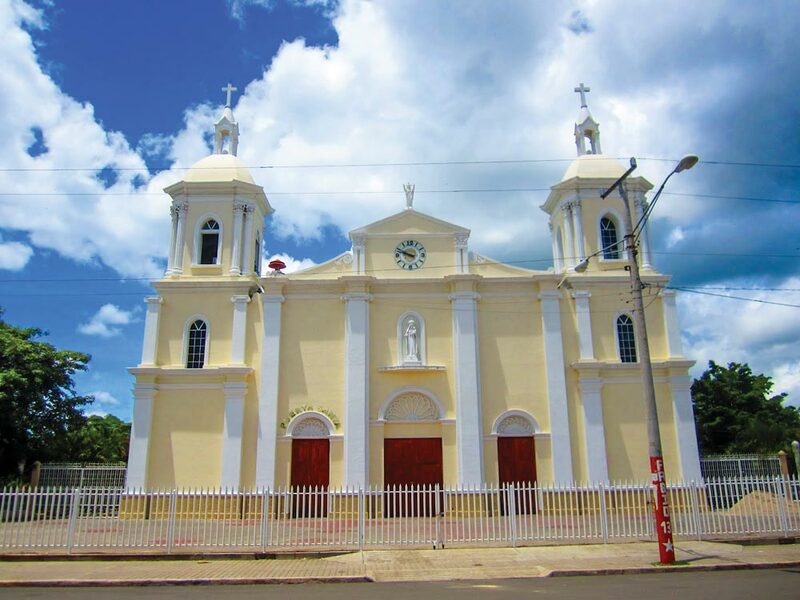 TIP: Take it easy on your first day driving around Estelí. The roads can feel a little chaotic, as there’s a mix of cars, motorcycles, bicycles and pedestrians with few traffic signals (usually none at all). You’ll want to keep your wits about you as you get the hang of driving around here. Once we’d put our things away and showered off the day’s travel, we met up with Alex García, the art director at Foundation Cigar Company. You probably know his work best from Foundation’s El Güegüense brand art, which pays homage to an ancient work of Nicaraguan theater. Alex guided us around Estelí for a tour of the city’s street art. All over town, the murals that cover the sides of buildings are elaborate, modern, and “street” in a way that makes it clear American graffiti culture has spread to this region and blended with Nicaraguan political themes and native folklore. Drew Estate — the company that first brought Nicholas and Alex together — has clearly been a catalyst in the street art scene here. A significant chunk of the murals in Estelí was commissioned by and makes mention of Drew Estate (with varying degrees of subtlety). Once the sun had set, making the art harder to appreciate, we stopped for an end-of-tour drink at Café Luz. Among Estelí bars, this is one of the places that will remind you most of the kinds of craft beer and cocktail bars you’ll find back home. In fact, it’s one of the bars that serves what lots of locals insist was Nicaragua’s best craft beer: Moropotente Lado Oscuro. It’s a stout with coffee and chocolate notes — not quite the sort of thing you’d figure is brewed (never mind brewed well) in the tropics. On the recommendation of friends at Oliva Cigars, we capped off the night with dinner at one of the cigar industry’s new favorite Estelí restaurants: Finca A Su Mesa (which translates to “Farm to Your Table”). It’s owned and operated by chef Darren Remy, an American who left the U.S. for Costa Rica in 2007 after years working in the Los Angeles, Calif. area between restaurants and a five-year stint as a personal chef to a wealthy family. Eating at Darren’s restaurant feels a lot like visiting an old friend who just happens to be really damn good with a smoker. The small dining room is comfortable and no-frills without feeling divey, which is a pretty close reflection of the food. TIP: When you’re packing a lighter, consider the fact that you might have few opportunities to refill. Make sure you’re working with something that has an ample tank and maybe even bring along some refill cans of your own. We tried the ribs, a steak and a burger—the latter being an easy choice since some guys from Plasencia Cigars were at the next table raving about it while we were trying to make up our minds. All of it lived up to the high expectations people had set for this restaurant — and it was all true to Darren’s philosophy of big portions and simple dishes. The burger was nothing but a massive half pound patty, grilled onions and melted cheese, while the ribs were as good and expertly smoked as any you might find in the U.S. (although these are more for the dry-rub crowd). Just minutes from food comas, we headed back to the Hex. We’d need the rest with a two-day cigar factory marathon ahead of us. When you think cigar tourism, one manufacturer should be coming to mind first; nobody does it quite as well as Drew Estate. Their factory is not only one of the largest manufacturing operations in the country, but also one of the most beautiful. What’s more, they even have their own on-site lodging (in the form of 11 cabañas) for visitors and a swimming pool with a mountain view on site. Generally, most of that is made available to smokers who travel to Nicaragua for Drew Estate’s Cigar Safari, a program which was recently expanded to happen several times a month. If you’re traveling independently and want to check out the factory, you just need to contact them with a week’s notice or more to book a tour — which is what practically every factory told us when we asked about how best to set up visits. On this particular visit, we had a chance to see production of Pappy Van Winkle’s Family Reserve cigars, which are made front and center on the rolling floor, on tables specially labeled to make sure you know what you’re watching. Off to one side of the sprawling rolling floor is a separate room in which Liga Privada cigars are made by the company’s best rollers. Yet another room is reserved for production of many of the infused cigars that help make it one of the most prolific factories in the world. Our next stop was a factory that’s about as large, but not quite so old. A.J. Fernandez used to make his cigars in several smaller factories — primarily a cramped one closer to the heart of the city. Having outgrown that setup, for the last few years, A.J. has been making his cigars at an expansive factory at the north end of the city, just east of the Panamericana, with much of his farmland situated in that area as well. In part because it’s among the newest, but also because A.J. is maniacal about quality, the factory is one of the more modern in Nicaragua. TIP: Be aware that the AJ Fernandez factory is one of the few — perhaps the only — that charges for one-off tours (about $15 per person). All proceeds are donated to area charities doing work related to childhood diabetes. Our walkthrough of the factory with A.J. and his father Ismael afforded us plenty of opportunity to see them both in action. They’re both personable, gregarious characters who ooze knowledge about tobacco and cigar making. Throughout our brief tour with A.J. — which also included a bumpy drive through his farms — he never stopped inspecting tobacco, asking workers for updates, and checking whatever happened to be near him to make sure the quality was up to snuff. It’s that compulsive, almost obsessive preoccupation with detail that has helped this factory earn a reputation for consistently high quality. Next, we drove just a few minutes west, crossing over to the other side of the Panamericana, where Oliva Cigars makes products like Serie V, Serie V Melanio, Connecticut Reserve, and Nub. We did a walkthrough with María José Morales, who — among other things — manages visits to and tours of the factory. The parts of the factory that were operational were largely identical to what I’d seen the last time I visited the Oliva factory nearly four years ago. The exciting part — aside from the incredible aroma of the aging room — is what’s in store for the future. The land just beyond the longstanding factory is now largely a construction site. Over the course of the next year or so, Oliva is not only expanding its cigar production facilities, but also adding a box factory to its campus. Especially if you’re a big Oliva fan, you might want to ensure you visit Estelí after these projects have been completed so you can take in that much more of the process. The last factory visit of the day was to the Yayabo facility, just a bit farther south. This boutique manufacturer is situated right at the intersection of the Panamericana and the entrance to Residencial La Riviera — a small neighborhood of about 65 acres that many in the cigar industry refer to jokingly as “Hialeah” (a reference to the ultra-Cuban populations of both this neighborhood and the South Florida city that’s also home to so much of the cigar industry). In other words, when much of the cigar industry goes home at night, it drives right past Yayabo headquarters, which produces Yayabo, Doña Diana and Cirion. We sat with Yayabo’s owners, Diany Perez and Alexander Basulto, for cigars and coffee at their factory’s lounge before taking a look at the rest of the building. This factory is unusual in its layout, at least as compared with other factories in town. Once you get through the gate and into the parking lot, you’ll find yourself looking at what looks a bit like a strip mall — except that, instead of various storefronts, you’re actually looking at various phases of the cigar production process. One door leads to a room filled with pilones of fermenting tobacco, another to a small tobacco sorting area, another to the part where cigars are packaged, and still another to the rolling floor. Yayabo does great work here, and there’s still plenty of room for them to grow, as the dozen or so rolling tables don’t even come close to filling out the room. We went into our last day in Estelí determined to pack in as much as we possibly could — knowing that there’s almost no way to experience all that the Estelí cigar community has to offer in the time we’d given ourselves. First, we headed to My Father Cigars, where we were fortunate enough to catch cigar legends Pepín and Jaime García. Cigar Snob’s relationship with My Father goes way back to the magazine’s — and My Father’s — beginnings (check out our 10th Anniversary Issue — May/ June 2016 — for some of our earliest stories about the company from back before they’d moved manufacturing to Nicaragua), so it was a special treat to catch up with them over coffee and cigars while we smoked Vegas Cubanas, the brand that the Garcías have revived from their earlier days. Even with the tall wall that separates the facility from the Panamericana, the My Father factory has an almost unnecessary amount of curb appeal. The Italian-inspired main building and lush landscaping are entirely consistent with the traditional and ornate branding that you’ve probably come to associate with My Father products like Le Bijou and H-2K-CT (although this factory is also known for making many cigars for many other brands, like Tatuaje and Crowned Heads, to name just two). It’s not generally a part of the tour they offer visitors, but we couldn’t pass up the opportunity to check out the large building, just a few minutes’ drive away, where My Father’s tobacco fermentation happens. That was an experience you shouldn’t pass up, either. It really is something to see how perfectionists like these handle tobacco. Case in point: Pepín boasted far more about how clean and meticulously organized his fermentation process was than he did about the quality of his cigars during our visit. Indeed, the pilones were so neat and the floors were so squeaky clean that this was starting to look more like a showroom than a fermentation building. Having smoked at least a couple of cigars at My Father (which isn’t exactly known for catering to lightweights), we needed a quick bite before moving on to our next factory visit. Dig back through the pages of Cigar Snob’s travel content and you’ll see that we rarely recommend anything that even resembles fast food. Estelí, though, is an exception. Quick service chicken is a staple here, and anybody who spends significant time in this town has strong opinions about which chicken joint is best. On this trip, we went with Tip-Top (fans of rival chain RostiPollos, which is a bit nicer, were less than pleased with us). The cheesy cartoon chicken logo might give you the impression that this chicken shouldn’t be taken seriously; that’s the wrong impression. 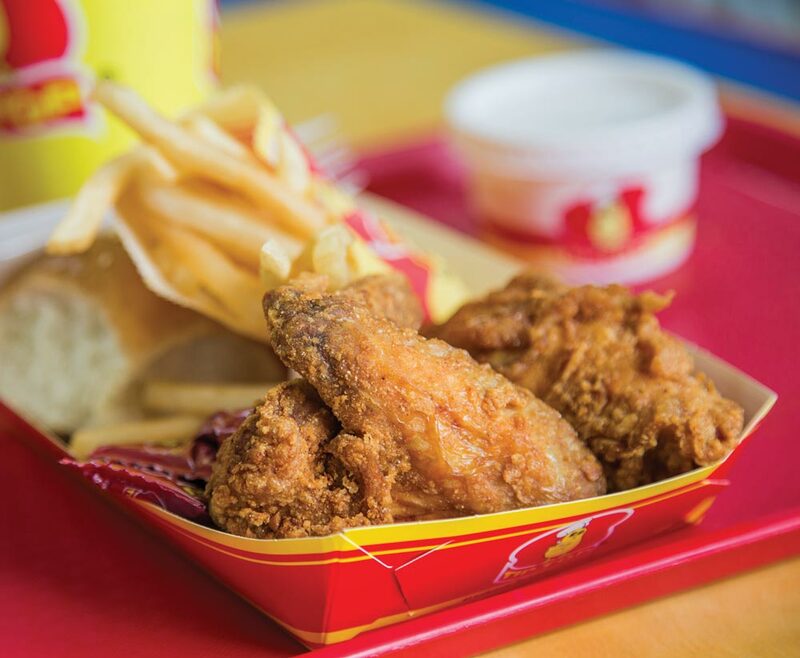 We’d put Tip-Top’s fried chicken up against any American chain’s any day of the week. This is an excellent option for smokers on the run or travelers who need a break from a steady diet of steak and tostones. TIP: Are you a soccer fan? Check on whether there’s a match happening at Estelí’s stadium during your visit. Their team is a perennial championship contender. Having refueled, we made our way to Tabacos Villa Cuba, the factory from which most of Rocky Patel’s Nicaraguan-made lineup comes. The factory isn’t huge, but there’s a ton of activity packed into this space, which is located a bit more centrally on one of Estelí’s city blocks east of the Panamericana. At the time of our visit, just about every rolling table was occupied and the staff in the packaging area were hard at work getting cigars into their boxes, including Rocky Patel Fifteenth Anniversary. 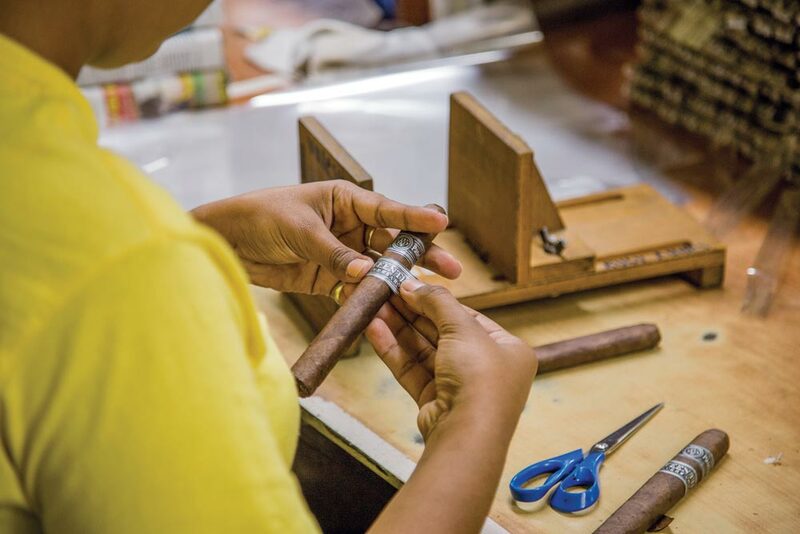 This factory is a bit smaller, making it a great place to take in the cigar manufacturing process in a quick visit while still getting to come up close and personal with some of the world’s best-known smokes. For our last two cigar factory stops of the day, we visited companies that are practically synonymous with their home country. First, we took the tour at Joya de Nicaragua, where Ariel López leads guests through a journey that starts with one of the most fascinating corporate histories you’ll ever hear. It wasn’t until 1968 that J.F. Bermejo and Simón Camacho (yes, that Camacho) founded Nicaragua Cigars, launching with just one line: Joya de Nicaragua. Eventually, that became the name of the whole company, which ended up sold to Somoza under political pressure in the mid-1970s. In 1994, the company was purchased by Alejandro Martinez Cuenca, who is its current owner and has been responsible for the brand’s renaissance. All this is to say that the history of Joya de Nicaragua serves as a pretty apt analogy for the history (at least the modern history) of its home country. We did this one on our last day, but if you can start your Estelí experience with a tour of Joya de Nicaragua, that would do a lot to put the rest of your time in Estelí in context. TIP: A tour of Joya de Nicaragua will probably be one of your few chances to try Joya Clásico, a brand that isn’t generally available in the U.S. market. Our last cigar factory visit was to Plasencia Cigars. The Plasencia family has been growing tobacco for five generations and has multiple factories manufacturing cigars for third parties, but it was only recently that they began their push to get their own brand name out there — starting with Plasencia Alma Fuerte. While the Plasencia factory isn’t the largest around, it might be one of the most attractive once you get past the front reception area. There’s a courtyard with a fountain in the middle of it, French windows that give you a look onto the rolling floor, and a lounge that’s got to be the nicest of any cigar factory we have visited in Estelí so far. After a dinner at Los Chagüites, we joined María José (from Oliva) and Diany and Alex (from Yayabo) at Hard Bar — a multi-level nightclub, bar and restaurant located right on the Panamericana. 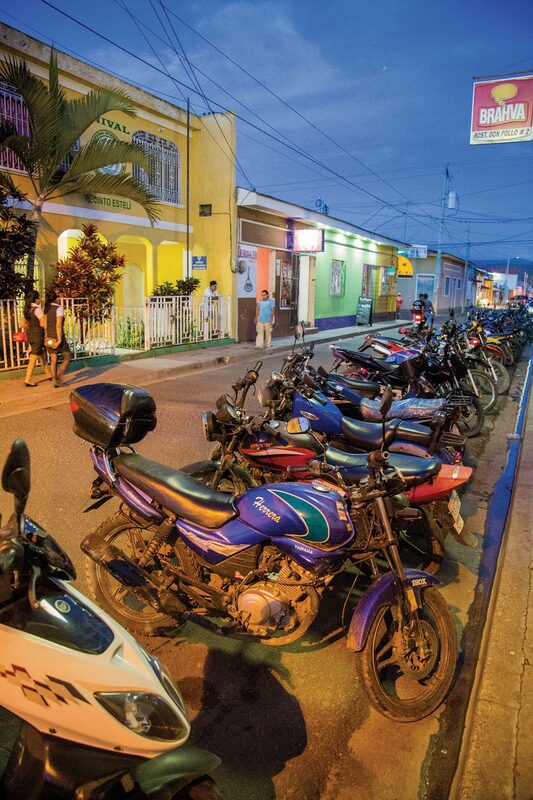 When it comes to Estelí nightlife, this is as big as it gets. We ended this trip with a bang, starting at the bar’s open-air dining room and moving on to the indoor, mezzanine-level dance floor. Cigars are a key component of Estelí’s identity, but that’s only been the case for a relatively short time. The city feels like it’s coming into its own, as is the cigar industry insofar as it’s just now beginning to mature as a tourist draw. We were only able to get to a small fraction of the factories here, and even then it felt like there was evolution and expansion and change around every corner. That’s what makes being here — amid all this life and potential, not to mention great cigars and steaks — so exciting and easy to come back to again and again.